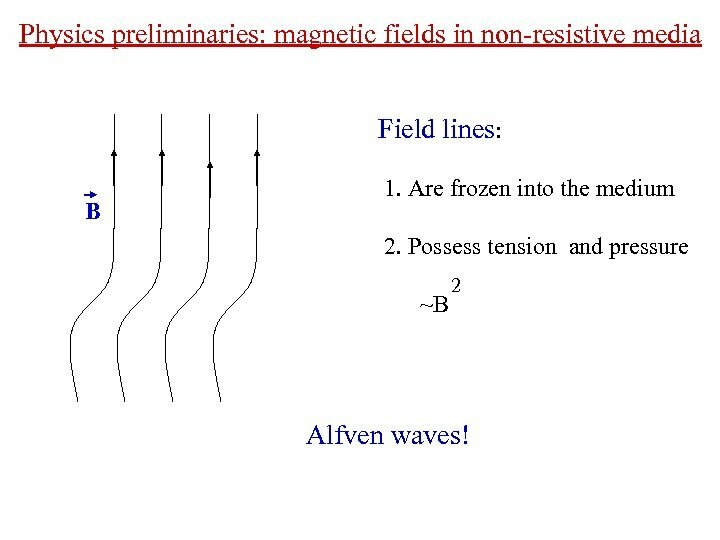 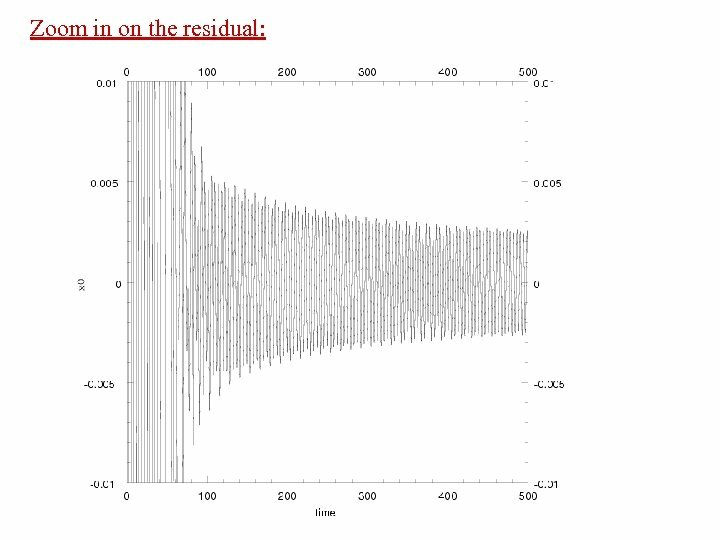 Physics preliminaries: magnetic fields in non-resistive media Field lines: B 1. 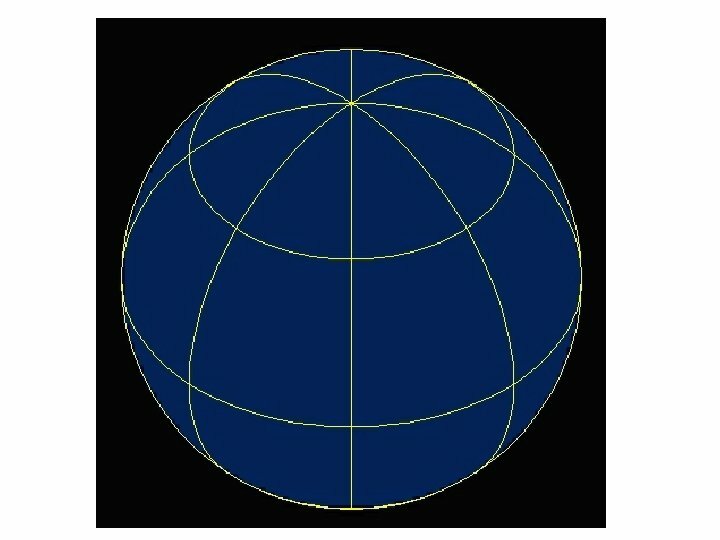 Are frozen into the medium 2. 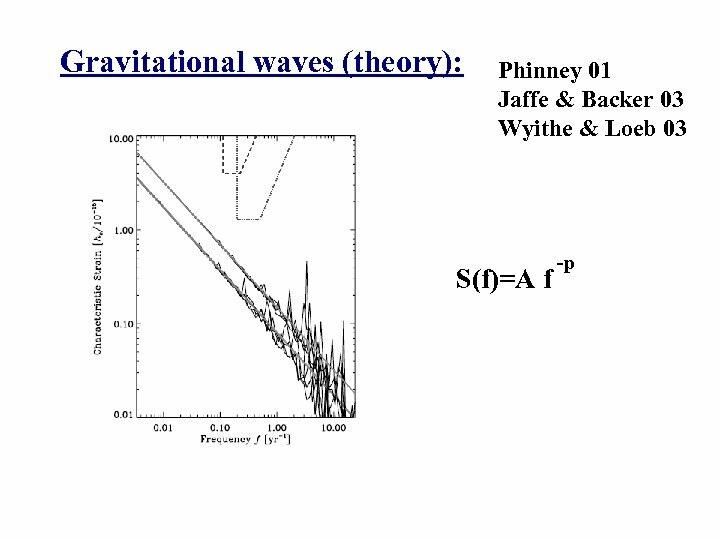 Possess tension and pressure ~B 2 Alfven waves! 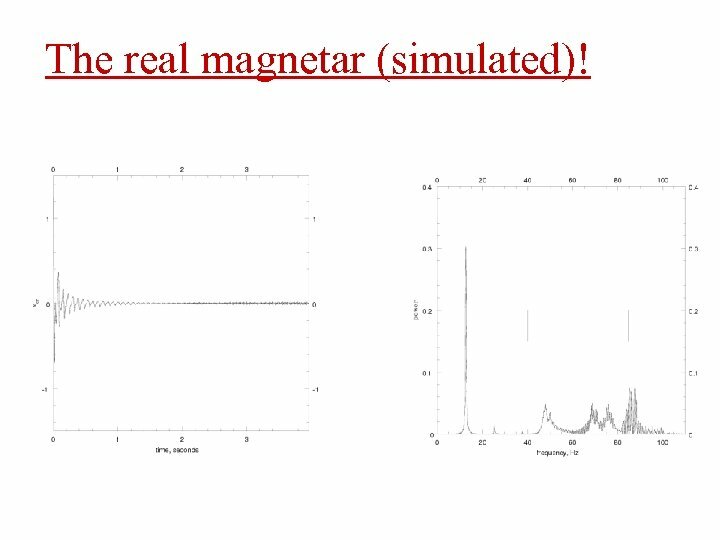 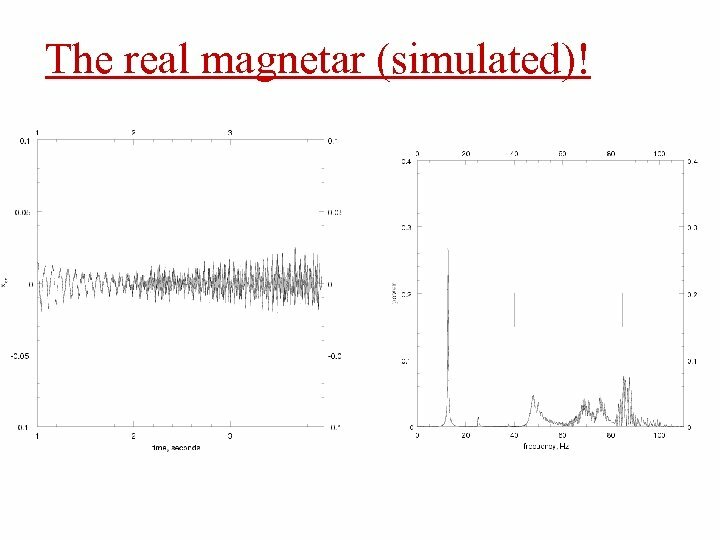 Magnetars: ultra-magnetic neutron stars. 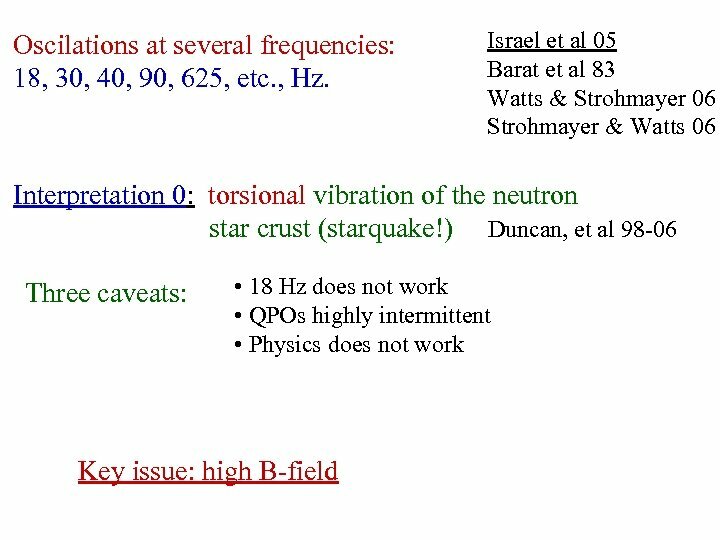 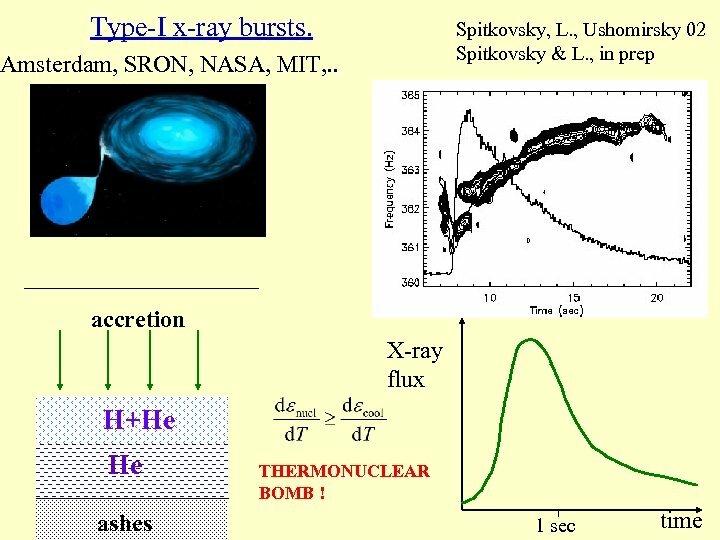 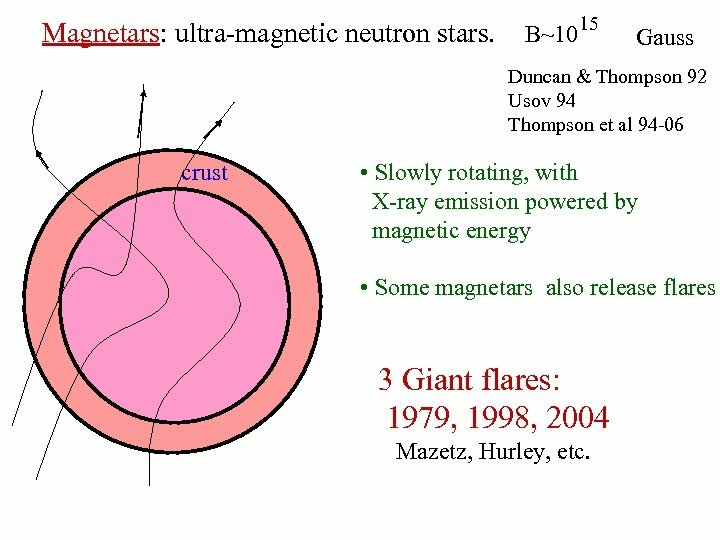 B~1015 Gauss Duncan & Thompson 92 Usov 94 Thompson et al 94 -06 crust • Slowly rotating, with X-ray emission powered by magnetic energy • Some magnetars also release flares 3 Giant flares: 1979, 1998, 2004 Mazetz, Hurley, etc. 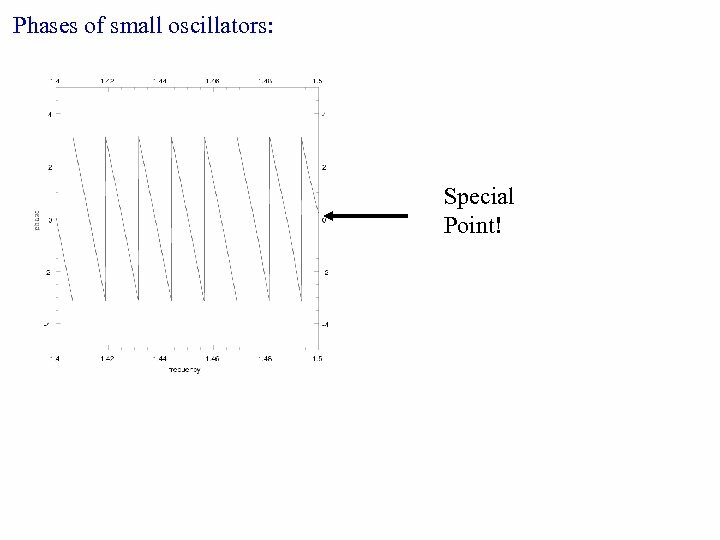 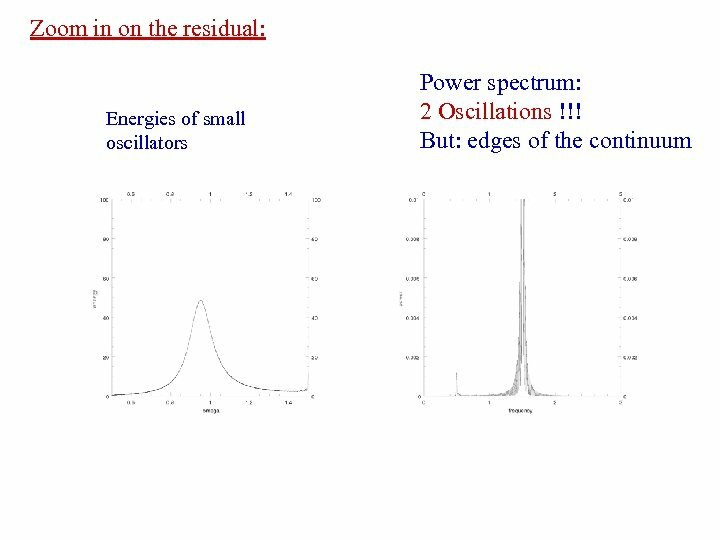 Phases of small oscillators: Special Point! 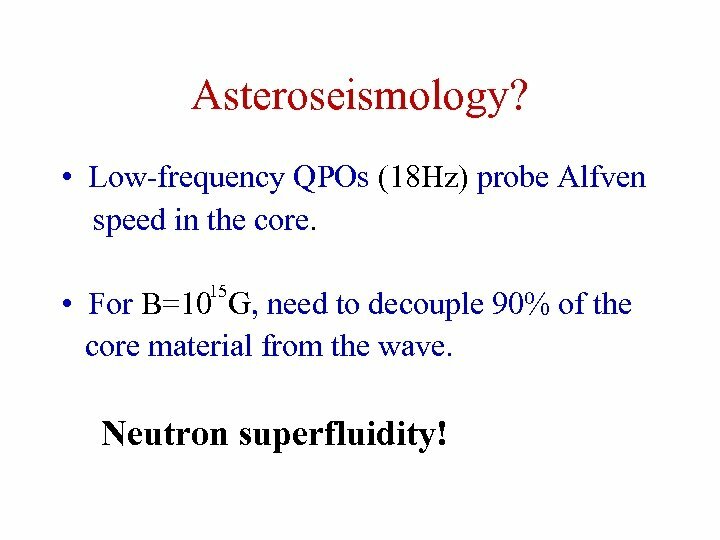 Asteroseismology? 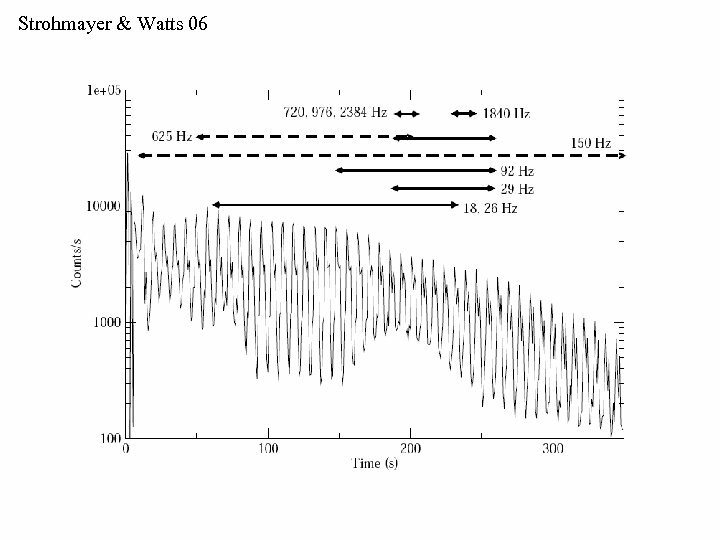 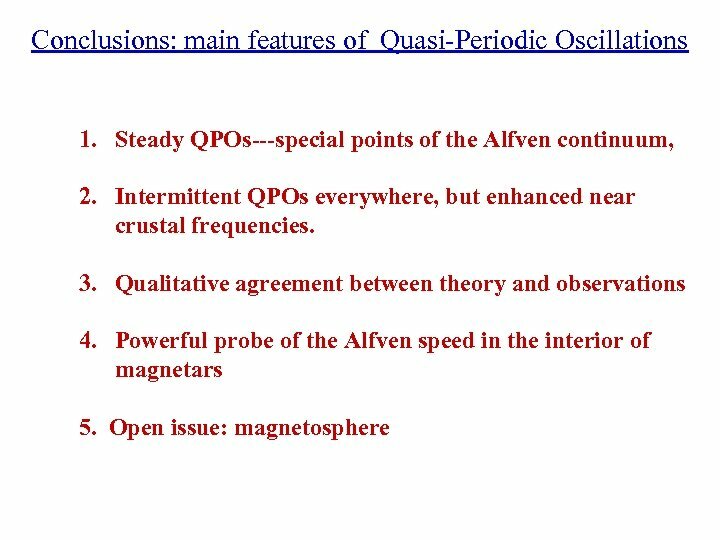 • Low-frequency QPOs (18 Hz) probe Alfven speed in the core. 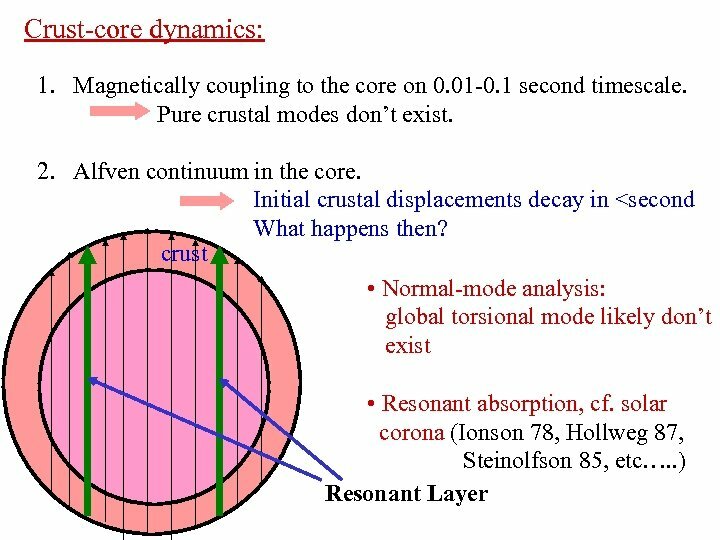 15 • For B=10 G, need to decouple 90% of the core material from the wave. 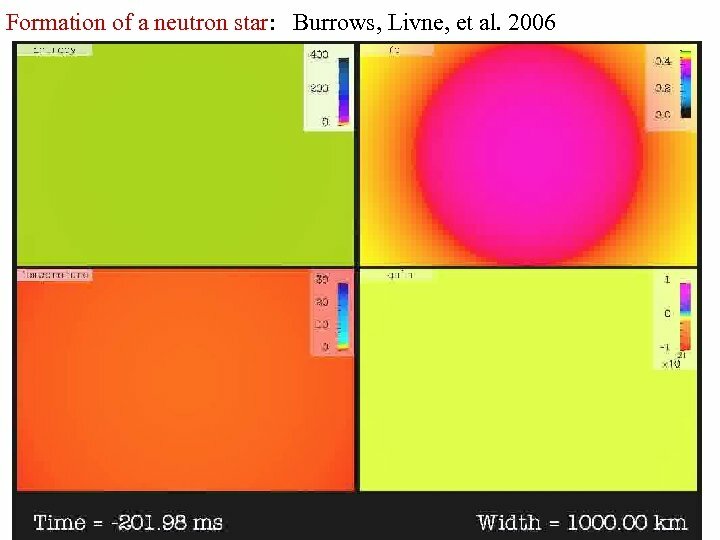 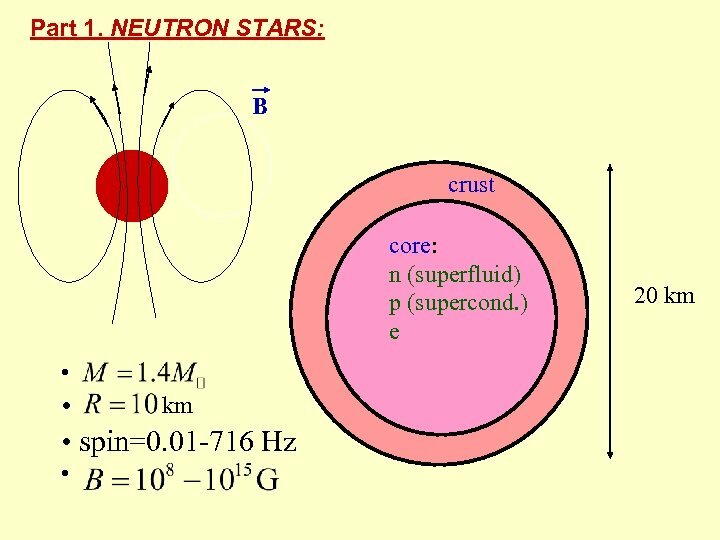 Neutron superfluidity! 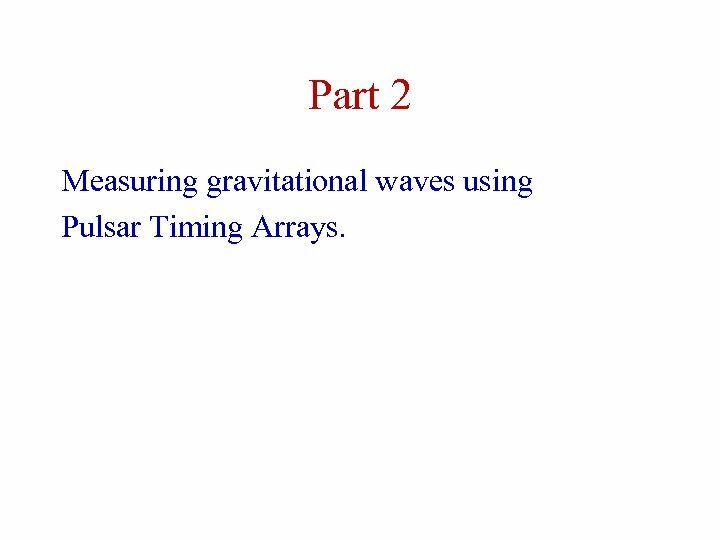 Part 2 Measuring gravitational waves using Pulsar Timing Arrays. 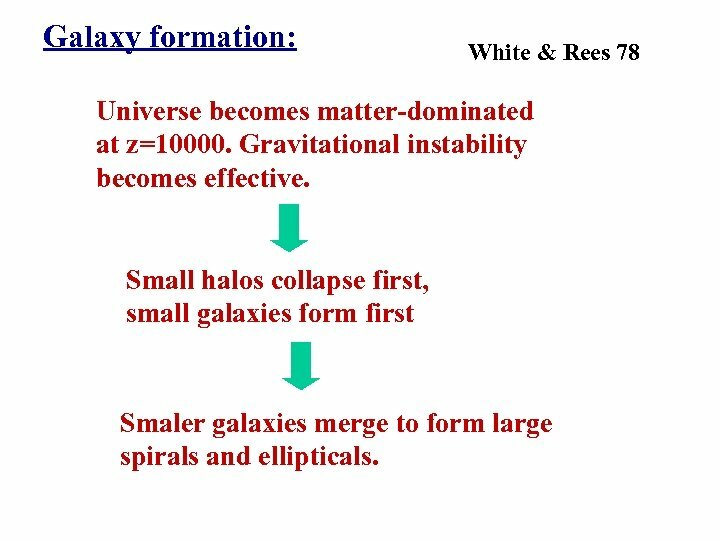 Galaxy formation: White & Rees 78 Universe becomes matter-dominated at z=10000. 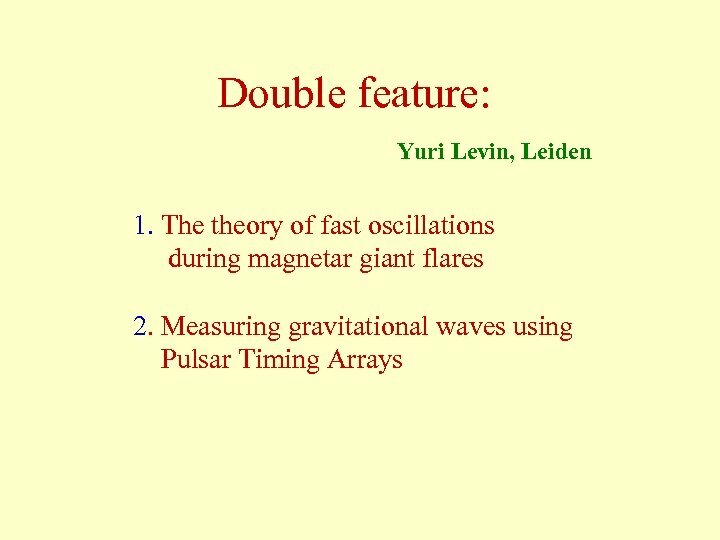 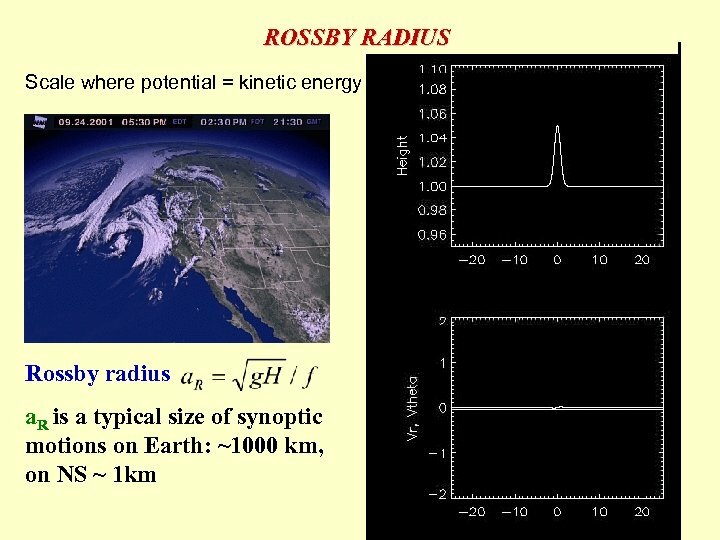 Gravitational instability becomes effective. 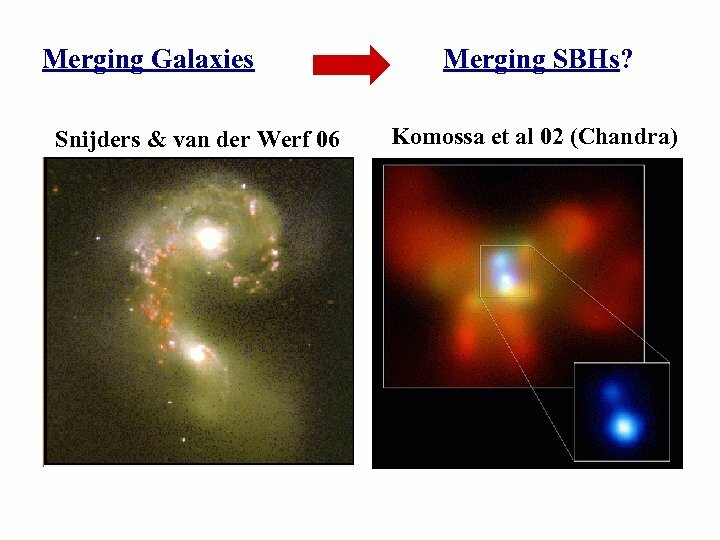 Small halos collapse first, small galaxies form first Smaler galaxies merge to form large spirals and ellipticals. 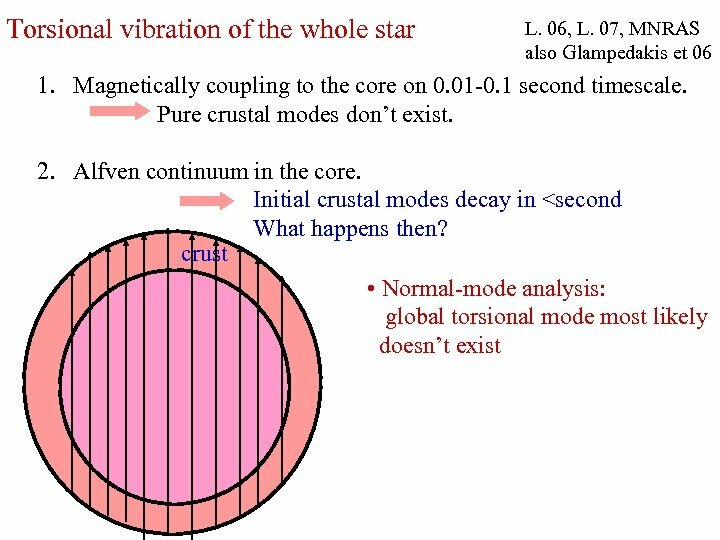 Q: What to do? 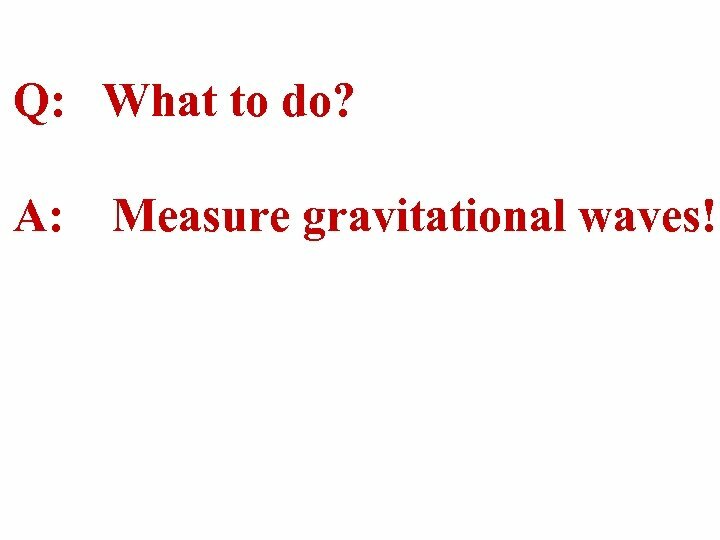 A: Measure gravitational waves! 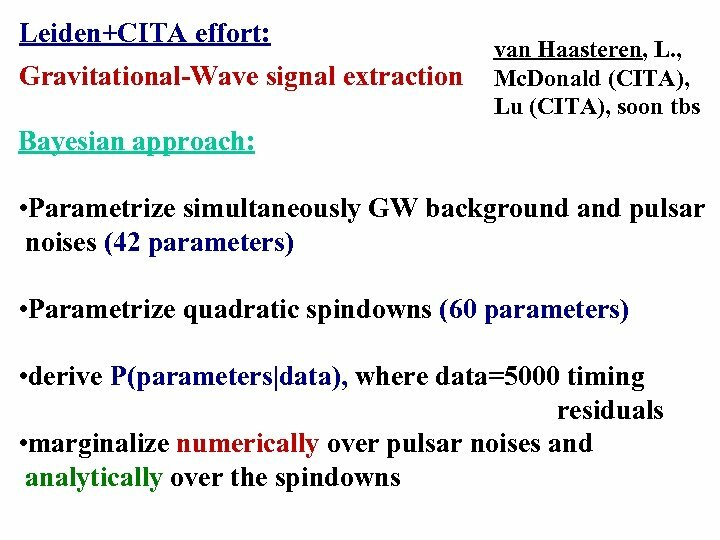 LISA: the ESA/NASA space mission to detect gravitational waves. 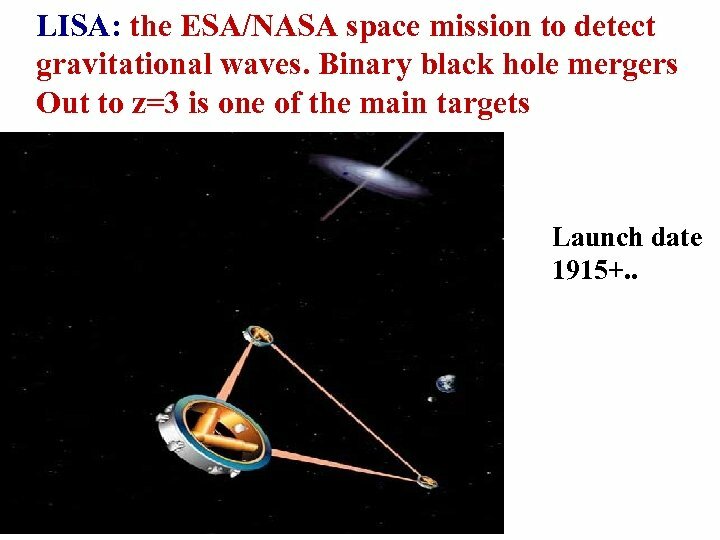 Binary black hole mergers Out to z=3 is one of the main targets Launch date 1915+. . 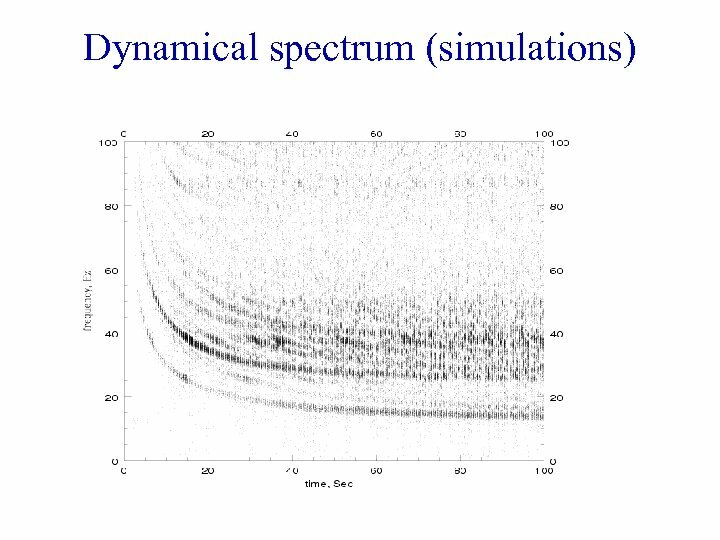 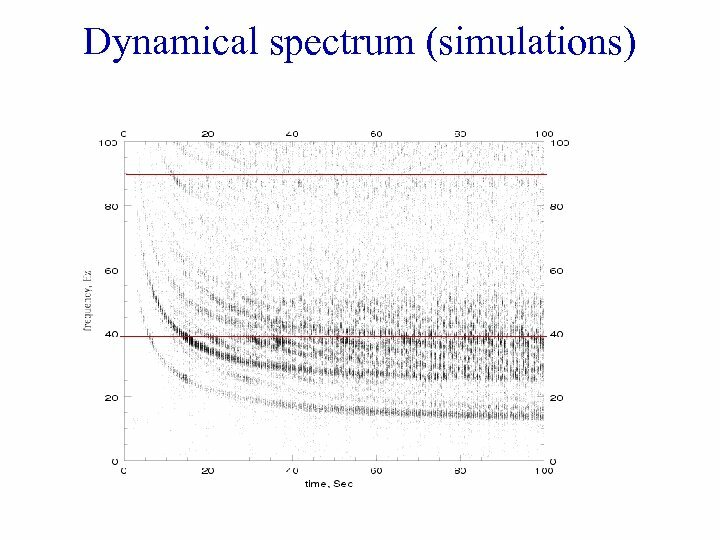 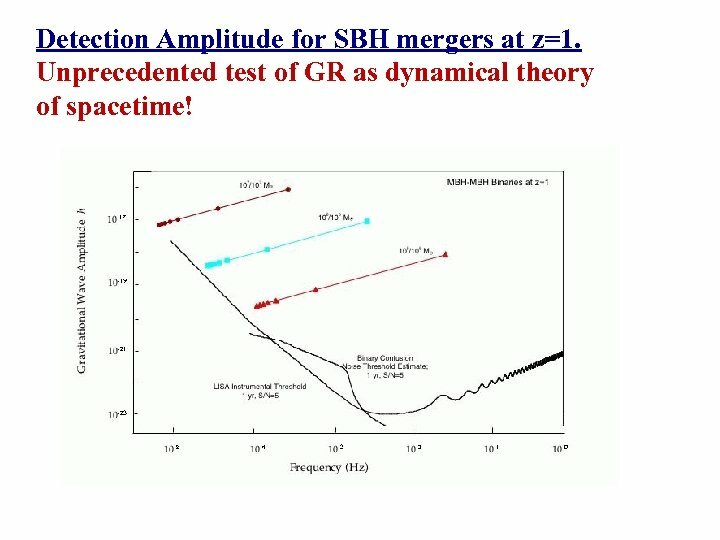 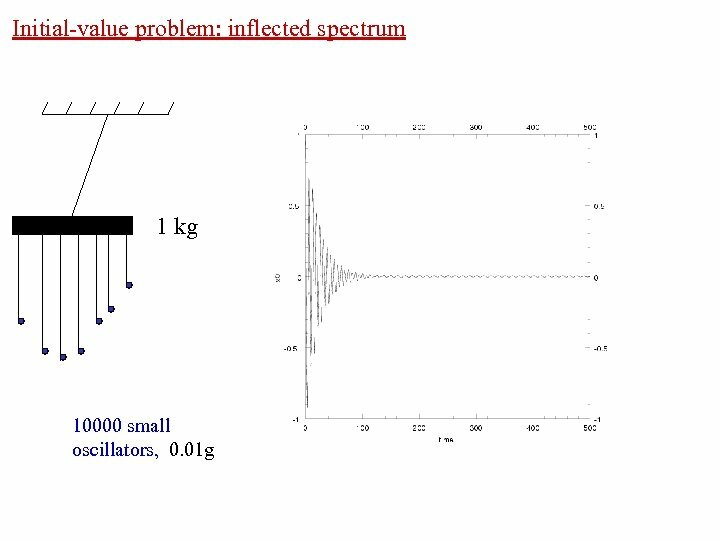 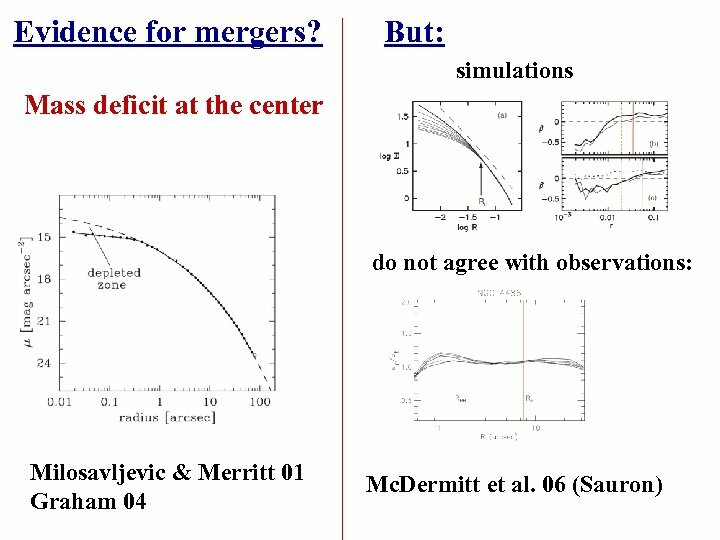 Detection Amplitude for SBH mergers at z=1. 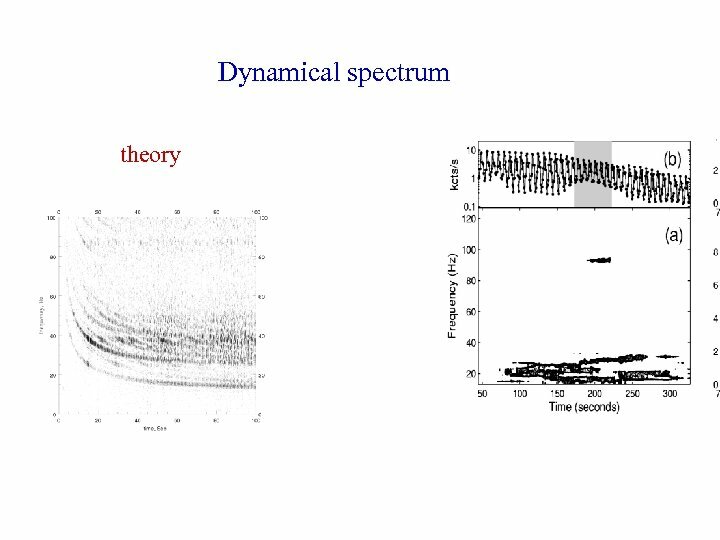 Unprecedented test of GR as dynamical theory of spacetime! 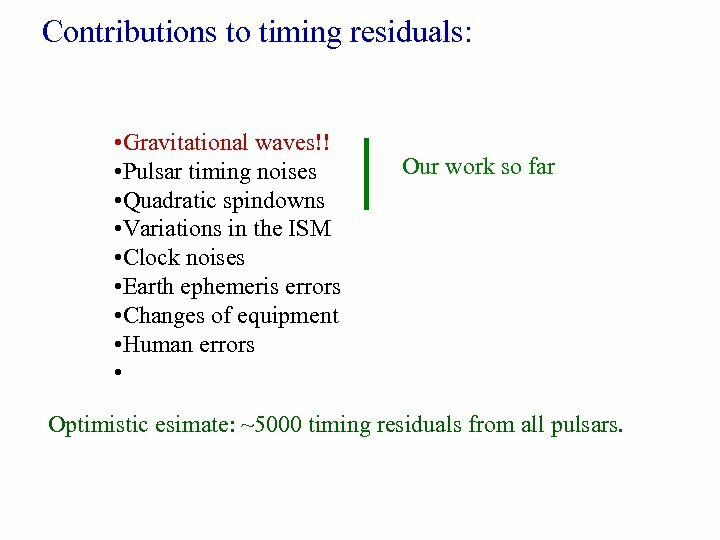 Contributions to timing residuals: • Gravitational waves!! 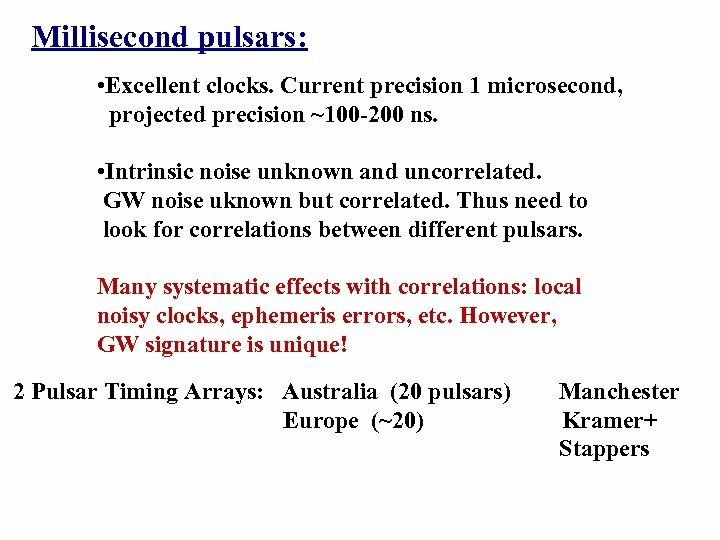 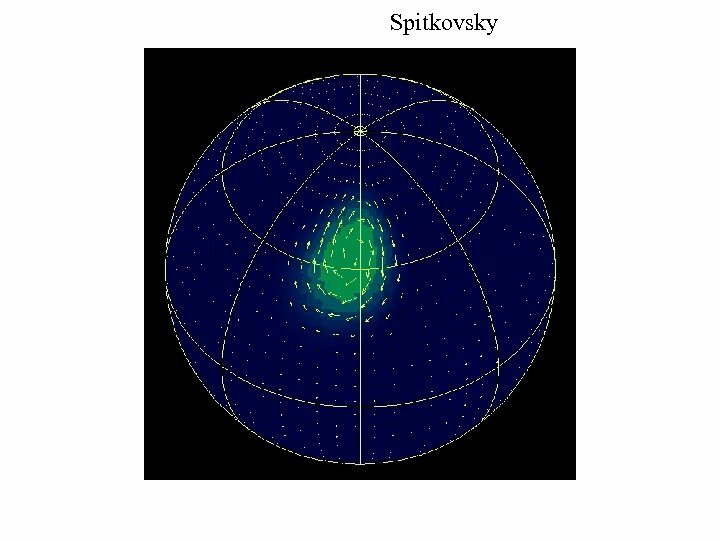 • Pulsar timing noises • Quadratic spindowns • Variations in the ISM • Clock noises • Earth ephemeris errors • Changes of equipment • Human errors • Our work so far Optimistic esimate: ~5000 timing residuals from all pulsars. 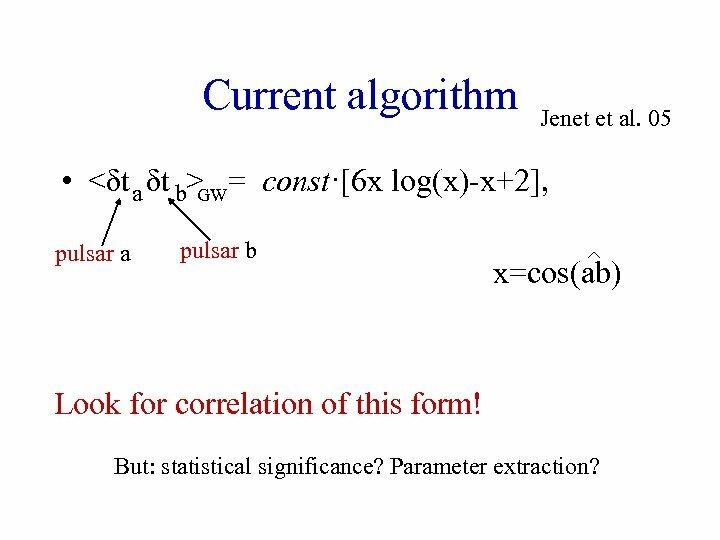 Current algorithm Jenet et al. 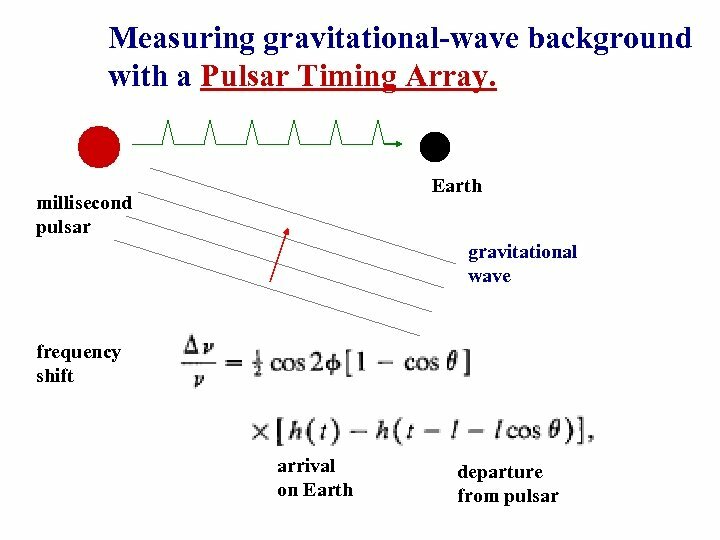 05 • = const·[6 x log(x)-x+2], GW pulsar a pulsar b x=cos(ab) Look for correlation of this form! 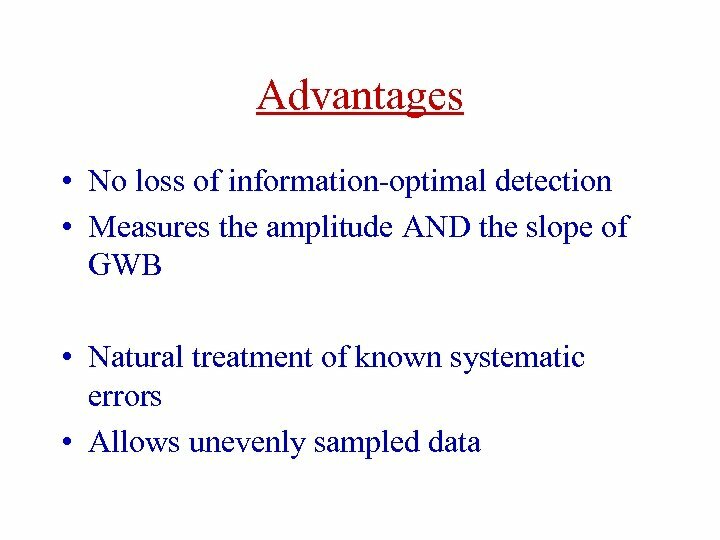 But: statistical significance? 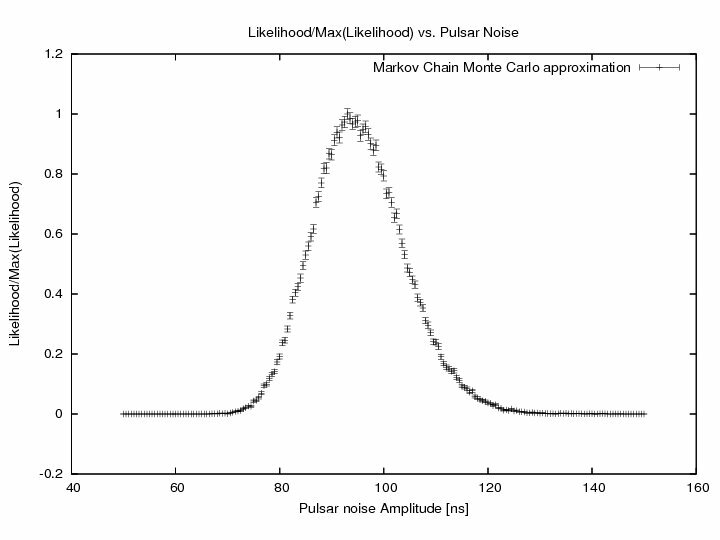 Parameter extraction? 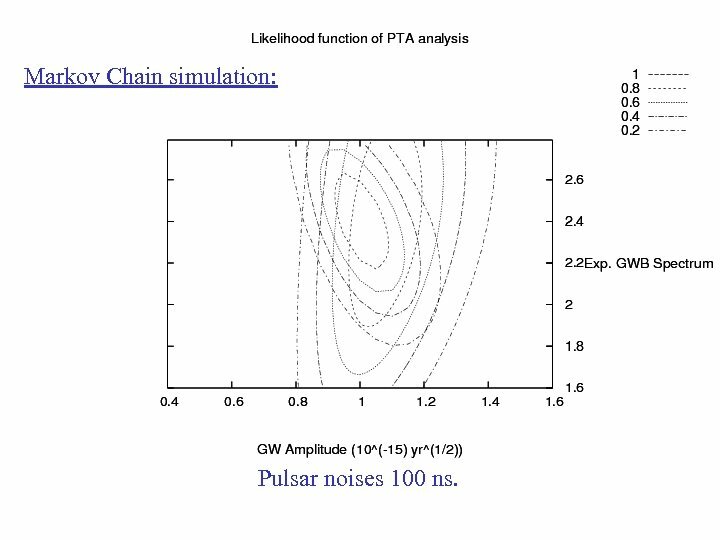 Markov Chain simulation: Pulsar noises 100 ns. 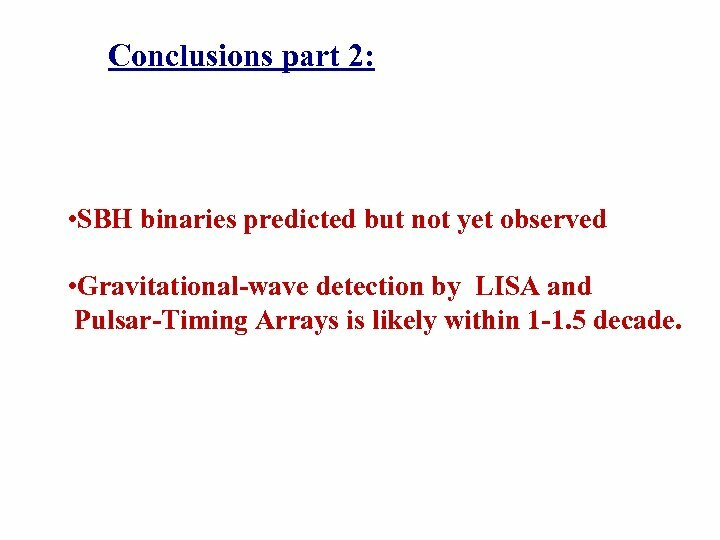 Conclusions part 2: • SBH binaries predicted but not yet observed • Gravitational-wave detection by LISA and Pulsar-Timing Arrays is likely within 1 -1.  5 decade. 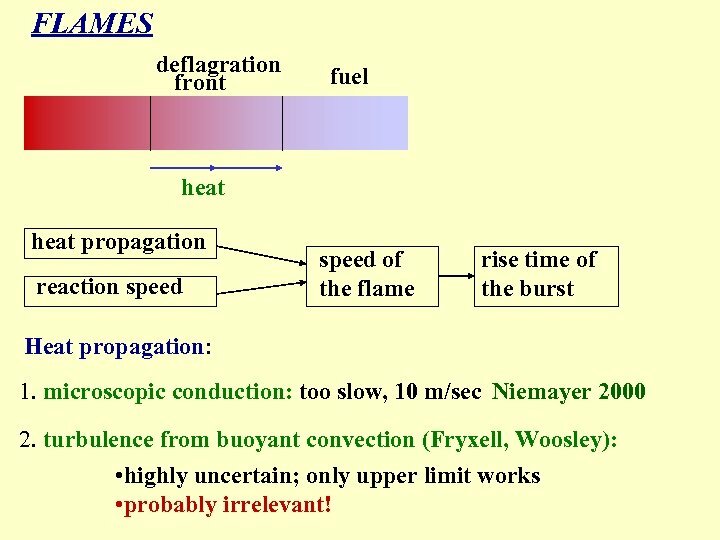 FLAMES deflagration front fuel heat propagation reaction speed of the flame rise time of the burst Heat propagation: 1. microscopic conduction: too slow, 10 m/sec Niemayer 2000 2. turbulence from buoyant convection (Fryxell, Woosley): • highly uncertain; only upper limit works • probably irrelevant! 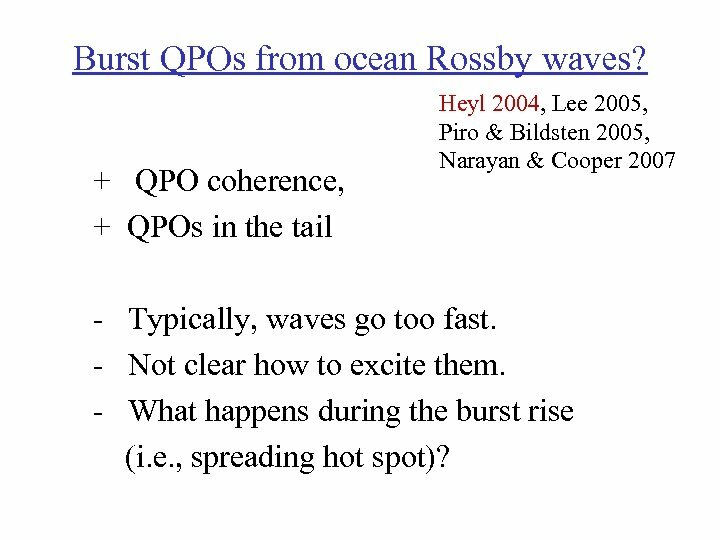 Burst QPOs from ocean Rossby waves? 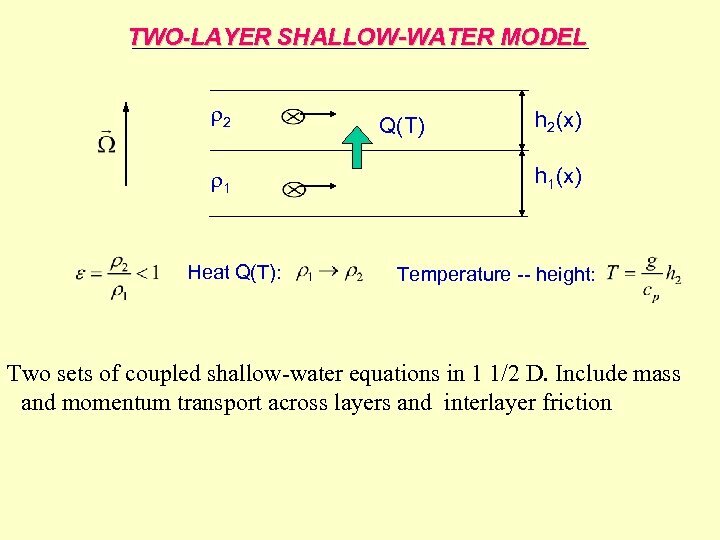 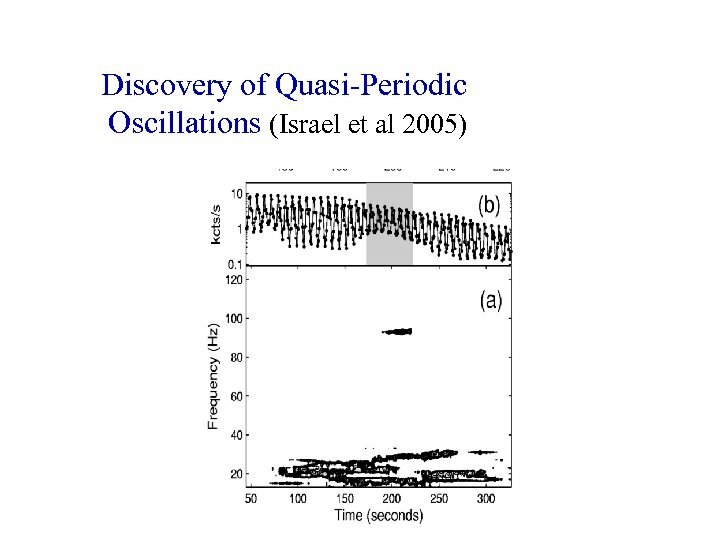 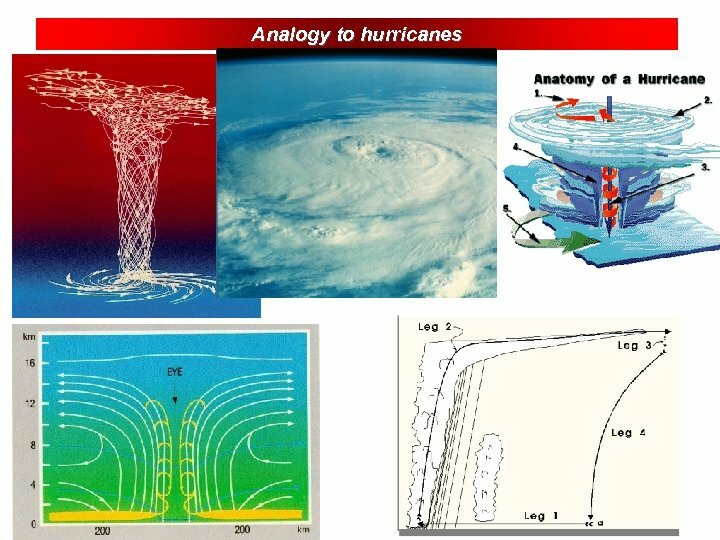 + QPO coherence, + QPOs in the tail Heyl 2004, Lee 2005, Piro & Bildsten 2005, Narayan & Cooper 2007 - Typically, waves go too fast. 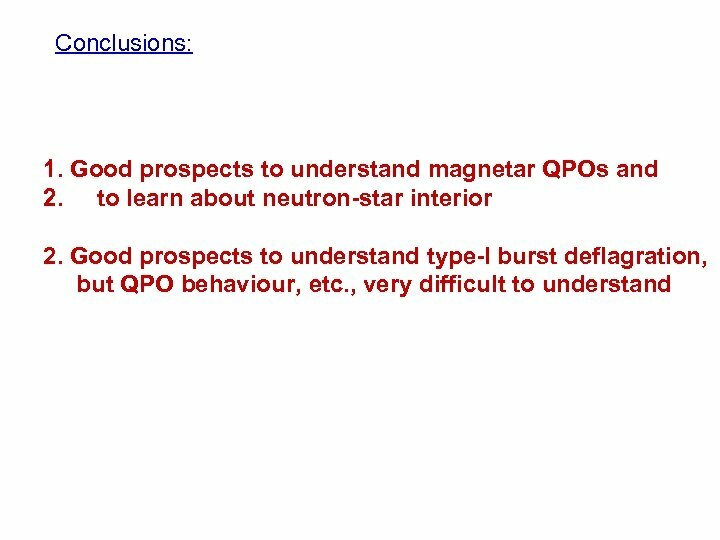 - Not clear how to excite them. 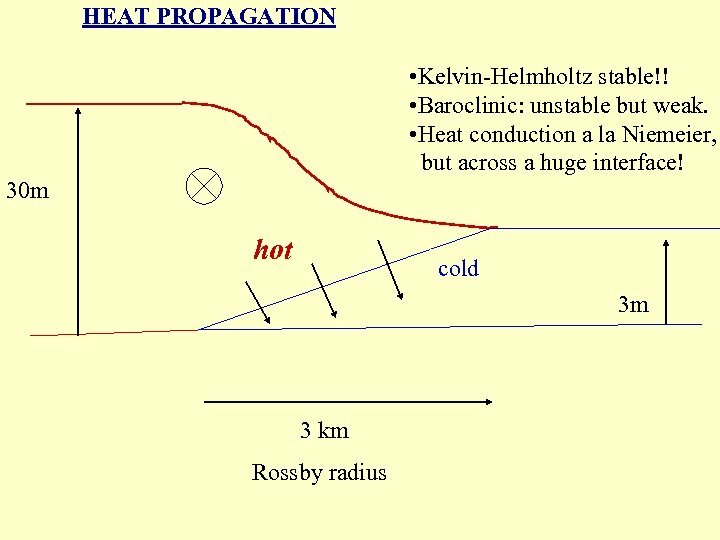 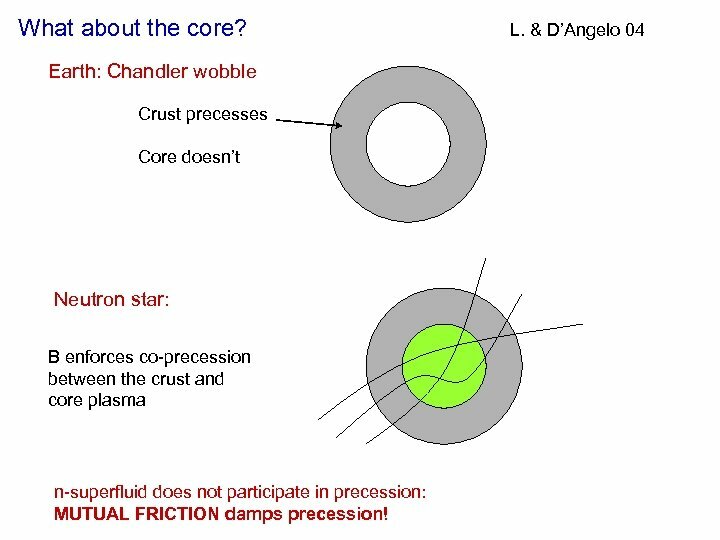 - What happens during the burst rise (i. e. , spreading hot spot)? 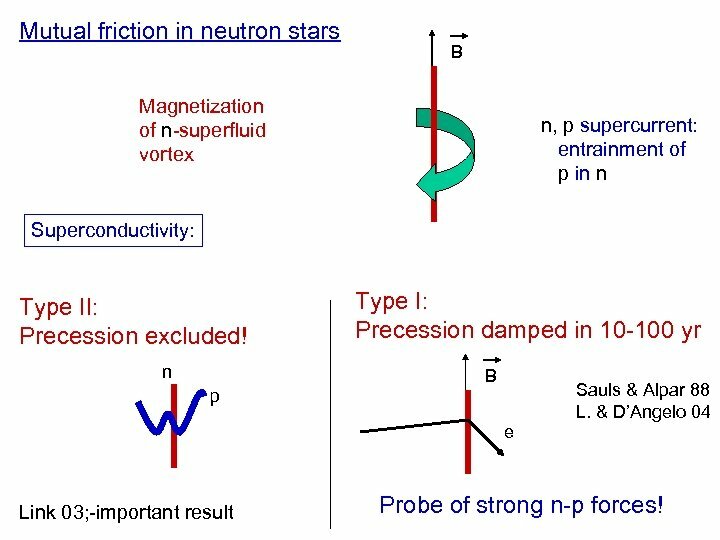 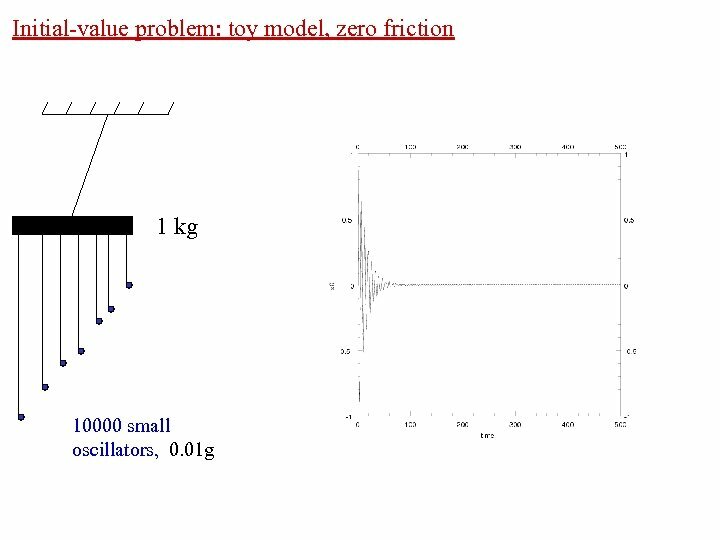 Mutual friction in neutron stars B Magnetization of n-superfluid vortex n, p supercurrent: entrainment of p in n Superconductivity: Type II: Precession excluded! 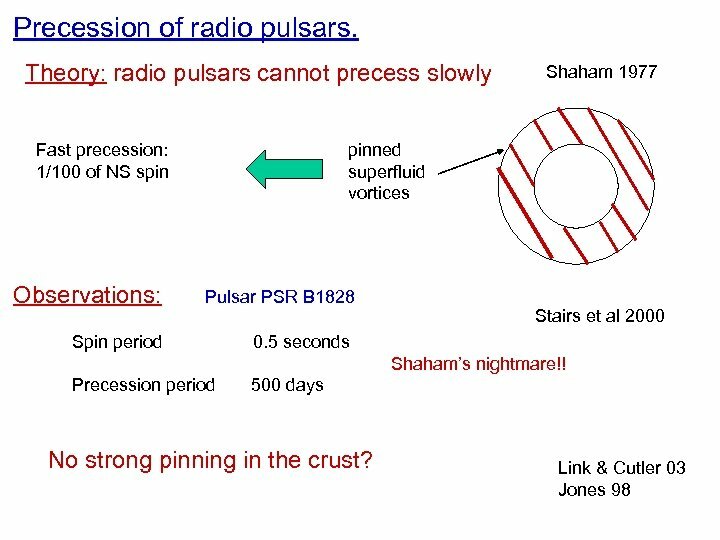 n p Type I: Precession damped in 10 -100 yr B Sauls & Alpar 88 L. & D’Angelo 04 e Link 03; -important result Probe of strong n-p forces!